The average price of a home in the GTA in the fourth quarter of 2018 increased 3.4% year-over-year to $843,641. The median price for a two-storey home went up 2.9% to $984,097, and the median price of a bungalow fell 0.3% to $802,785. Meanwhile, the median price of a condo unit jumped 9% to $520,033. In the City of Toronto, the average home price increased 8.8% to $901,280 in the fourth quarter of 2018, with the median price being $569,812. While Toronto prices soared, Scarborough’s market balanced out with the average price increasing a modest 1.4% to $663,868. "Despite sluggish sales in the city's core, sellers are often able to receive their asking price because of the region's lack of inventory. 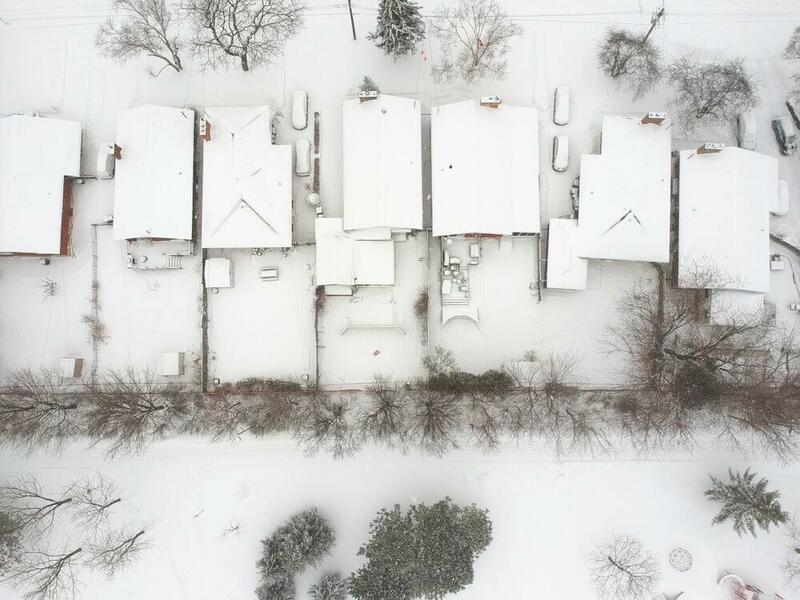 While market conditions have improved greatly for buyers, Toronto will be a seller's market until inventory levels increase," says Chris Slightham, president, Royal LePage Signature Realty. "While the new OSFI mortgage rules contributed to dampening real estate activity in the Greater Toronto Area, the city's economic fundamentals remain supportive of the long term health of the real estate market," he adds. Looking north of Toronto, Richmond Hill and Vaughan home prices continued to drop, falling 4.9% and 0.6%, respectively. Prices may be cooling, but the average is still above $1 million in both markets. Markham had an even more significant average price drop, plummeting 7.1% to $964,585. It’s a different story in Brampton where the average price increased 2.7% to $711,649. Royal LePage’s release says that young families are attracted to Brampton’s relatively affordable selection of two-storey detached homes. Mississauga and Milton also saw modest average price increases, rising 3.9% and 2% to $749,049 and $738,995, respectively. Oakville saw a similar average price increase, jumping 4.5%, but this market is closer in price to Richmond Hill and Vaughan, finishing the year at $1,120,872. According to Royal LePage’s results, the most affordable area of the GTA is the east side. Oshawa saw an average price increase of 1.3% in the fourth quarter of 2018 to $536,910. Ajax stayed around the same, rising 0.4% to $677,301, and Whitby prices went up 1.7% to $682,557. Interestingly, Pickering had a big average price drop, decreasing 5.6% to $671,542. Price deceleration was a common trend through 2018, and according to the president of Royal Lepage, it’s for the best. "The invisible hand that guides our complex economy hit the real estate reset button in 2018 and that is a good thing," says Phil Soper, president and CEO, Royal LePage. "Major market home price inflation through much of the decade had led to dangerous overheating in our most populous regions. Government regulatory intervention and rising interest rates, when combined with property price overshooting, triggered the correctional cycle we find ourselves working through today."